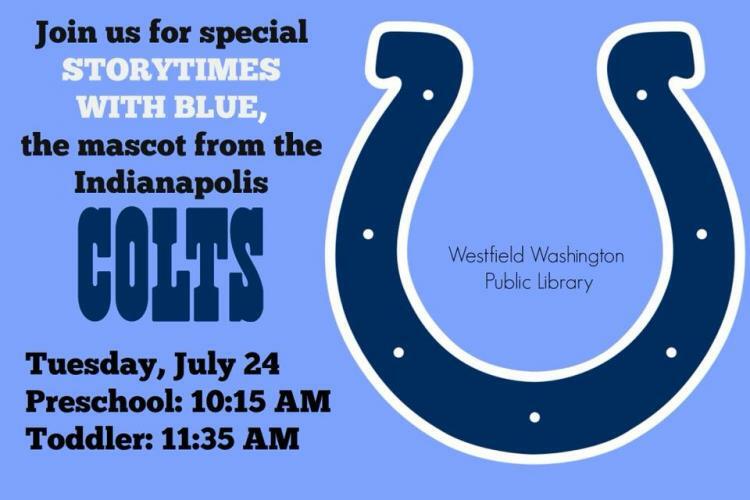 Storytimes With Blue, the lovable Indianapolis Colts’ mascot, are Tuesday, July 24! Preschool Storytime is at 10:15am, and Toddler Storytime is at 11:35am. Come see Blue and join the fun! FREE!